On Valentine’s Day 2007 I, and most of my large family, witnessed my mother’s coffin laid delicately into the ground. She was 71 years old. Her funeral service was held in a tiny rural village of West Norfolk UK called Gayton Thorpe, a village that she called home for the previous 30 years or so of her life. However, my mother Jean Eke was not Norfolk born-and-bred, but rather settled there to ultimately meet my father and start a new, more rural chapter of her life. 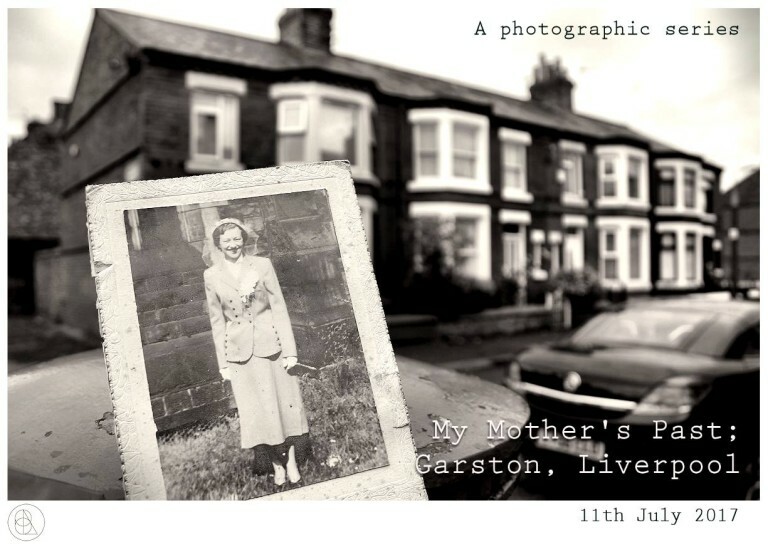 She was actually born on the other side of the country, in the city of Liverpool on Thursday February 21st 1935, to a loving working class family. As I stood there watching her coffin disappear into the cold ground in 2007 I made a silent promise to her that I would honour her struggles and hardships in life by one day going back to her birth home in Garston, Liverpool. On 11th July 2017, the tenth year after her death, I grabbed a camera and did just that. I searched for – and found – her childhood home for the first time. This is my series of photographs from that unseasonably rain-soaked, humid and stormy journey around North West England. All photographs taken in Garston, Liverpool UK on 11th July, 2017.